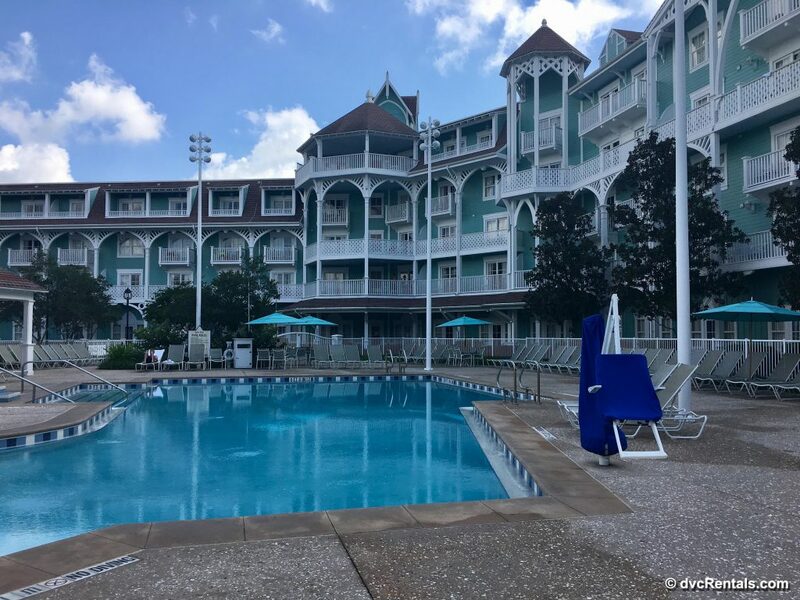 Disney’s Beach Club Villas is one of my favorite places to stay at Walt Disney World! This resort offers comfortable rooms, delicious dining options, and in my personal opinion, the best pool on property! Let’s explore this resort together, shall we? Why don’t we start with the Lobby? The lobby at the Beach Club is warm, elegant, and beautifully decorated. Splashes of blues and greens, plush furnishings, and a glimmer of sunlight can often be found peeking in through the windows and entryways. A calming vibe washes over you like a wave, while the distinct scent of clover and aloe welcome you to your home away from home. Guest registration and check-in is found here, as well as the concierge and bell services desks. There is also a special area set up with cartoons and kid-sized chairs for little ones to relax in while the grownups are settling the details of their stay. Is there a rumbly in your tummy? 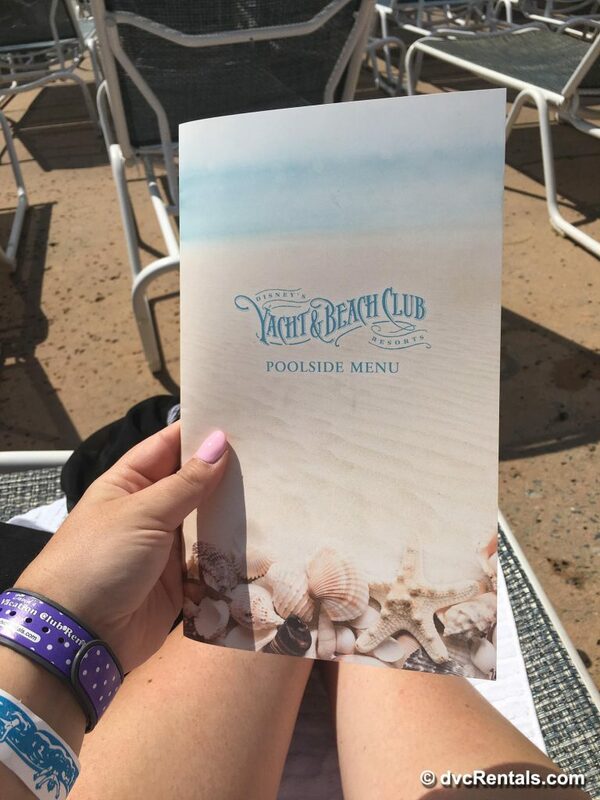 There are several sumptuous dining options to be found at the Beach Club that will be sure to please the foodies in your family! The Beach Club Marketplace is not only the Beach Club’s spot to shop for souvenirs and resort wear (and pickup packages of items previously purchased in the parks), but also offers quick service breakfast, lunch, and dinner, as well as grab and go options and snacks. Hurricane Hanna’s Waterside Bar and Grill is your poolside option for quick service lunch entrees as well as many specialty beverages and cocktails for those visitors over the age of 21. 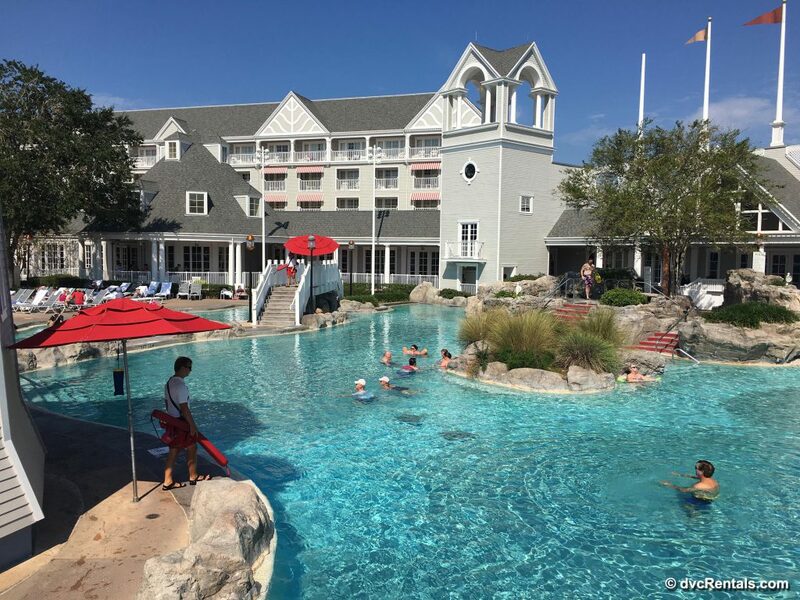 Cape May Cafe is the Beach Club’s table service restaurant, where kids and adults alike can fill their tummies alongside favorite characters for an all-you-care-to-eat breakfast before hitting the parks. Cape May Cafe also offers a savory seafood buffet for the dinner crowd (though please note this venue doesn’t feature characters at dinner time.) Even if you (like myself) aren’t a seafood fan, there are many delicious offerings to tempt landlubbers, as well as items especially for kids. 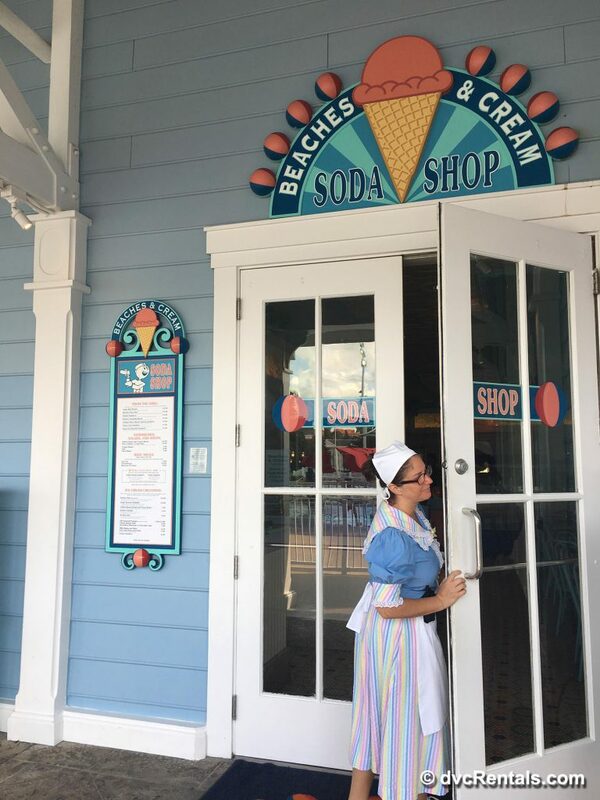 My personal favorite Beach Club snack stop is the Beaches and Cream Soda Shop! Tons of fun awaits guests at this retro soda fountain where the menu features incredible ice cream delights like sundaes and shakes, as well as entrees such as burgers and sandwiches. If you don’t have an advance dining reservation arranged, there is also a separate spot in the shop which offers selected menu items to-go. My favorite item to indulge in here is a chocolate ice cream soda – yum! 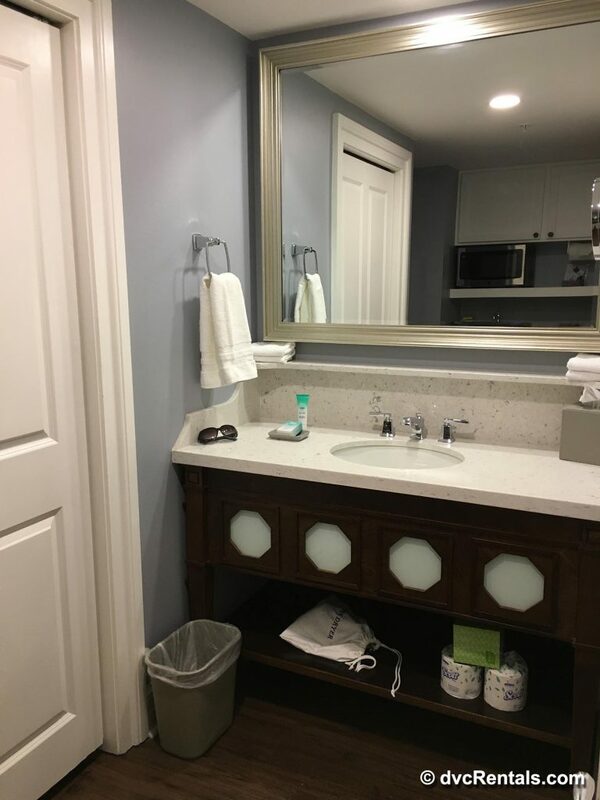 There are several recreational options available at this resort for when you’re ready to start working off all of the ice cream eaten at the Beaches and Cream Soda Shop! What should we do first? There are jogging/walking trails, fishing, and boat rentals are also available. Campfires and Movies Under the Stars are some of my favorite complimentary resort activities (be sure to check the resort schedule to find out activity times and programing). The Beach Club also offers specialty cruises, and the Lafferty Place arcade. 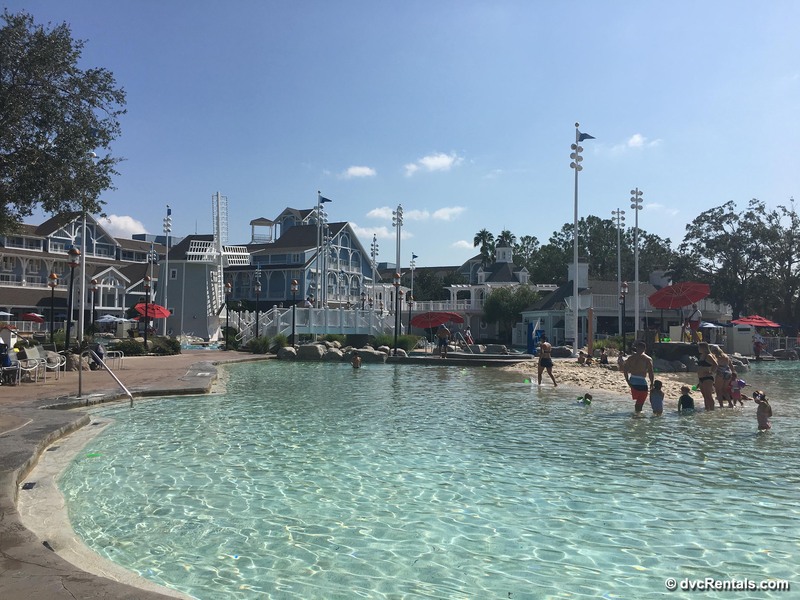 For me, the shining star of the Beach Club resort’s awesome recreational options is the Stormalong Bay incredible feature pool area! Stormalong Bay is a 3-acre mini waterpark where guests can swim and splash and have lots of fun in the sun! 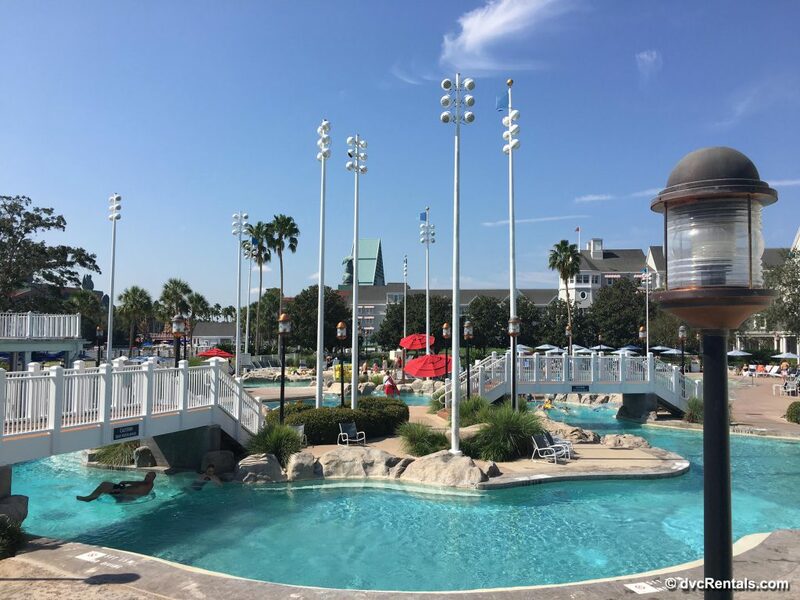 Some of the amazing features of Stormalong Bay include the sand-bottom pool, a life-size shipwreck where you’ll find a 230-foot-long waterslide (one of the tallest on Walt Disney World resort property), and lazy river which is perfect for relaxing! 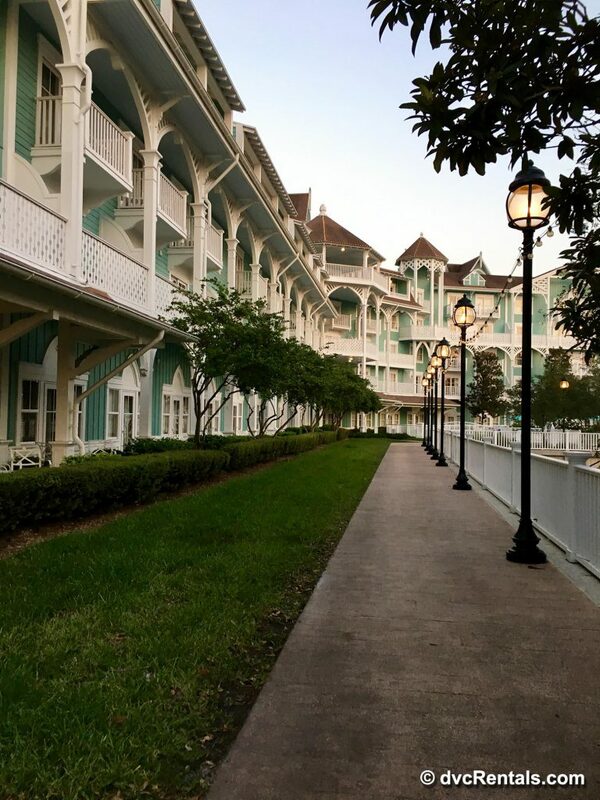 Stormalong Bay is only open to guests staying at the Beach Club and the neighboring Yacht Club Resort (you may be required to wear an additional wristband indicating you are a resort guest while enjoying the pool and its spectacular features), making it another fabulous perk of staying at one of these properties! This is a great place to play for families who are taking a mid-day break or having a day away from the parks as there is truly something for everyone. 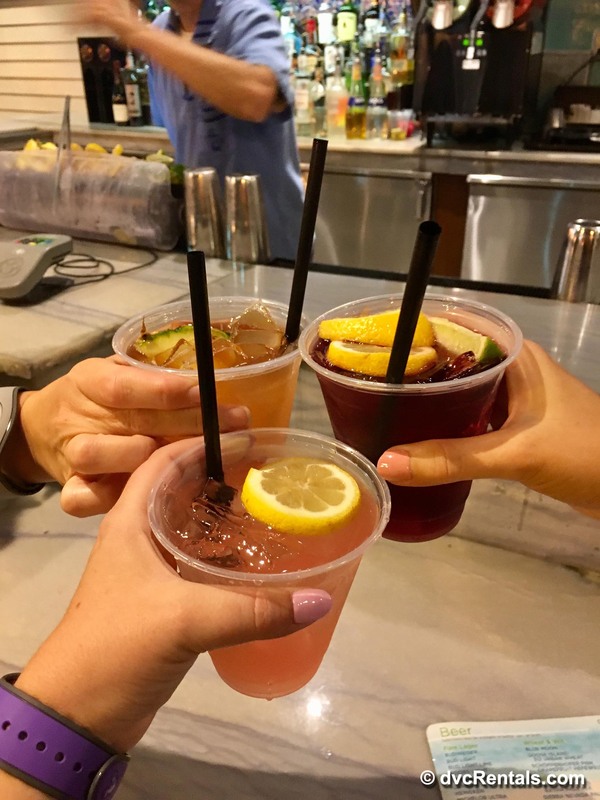 Adults can lounge poolside with refreshments from Hurricane Hanna’s or soak in the hot tub, while little ones have their own area featuring a wading pool, mini slide, and a sandy place to play. Kids of all ages will surely love the giant shipwreck waterslide (though something for parents to note here is that you do have to leave the main pool area and cross a public walking-path to reach the stairway leading up to the slide entrance). The slide is full of twists and turns, and eventually splashes you back into the main pool with a big smile on your face! The Beach Club also has 2 quiet pools! 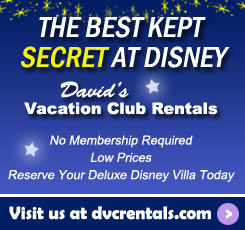 One is located in the main hotel area, and there is also the Dunes Cove pool in the DVC Villas area. There are whirlpool spas at each pool as well, which I love soaking my tired muscles in at the end of a long day! Ready to head to out for some additional fun? A big factor for me in choosing a resort is location and the Beach Club has a great one! 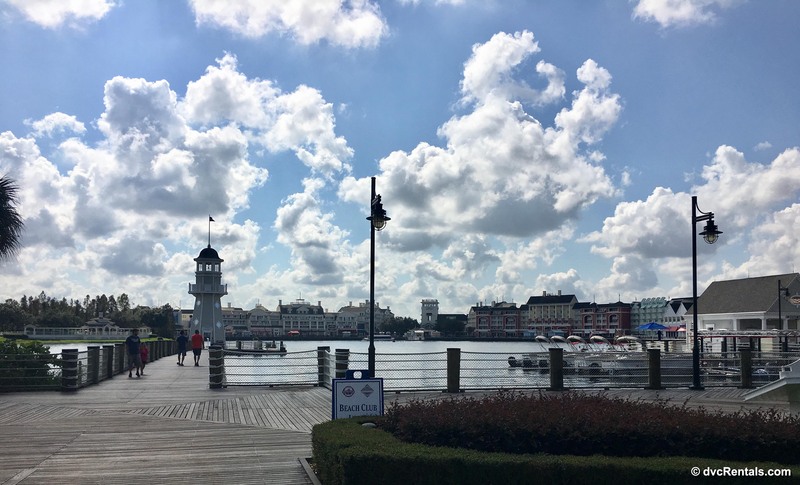 Both Epcot and Hollywood Studios parks, as well as the Boardwalk resort are within walking distance from the Beach Club, accessed via pedestrian walkways along the edges of Crescent Lake. 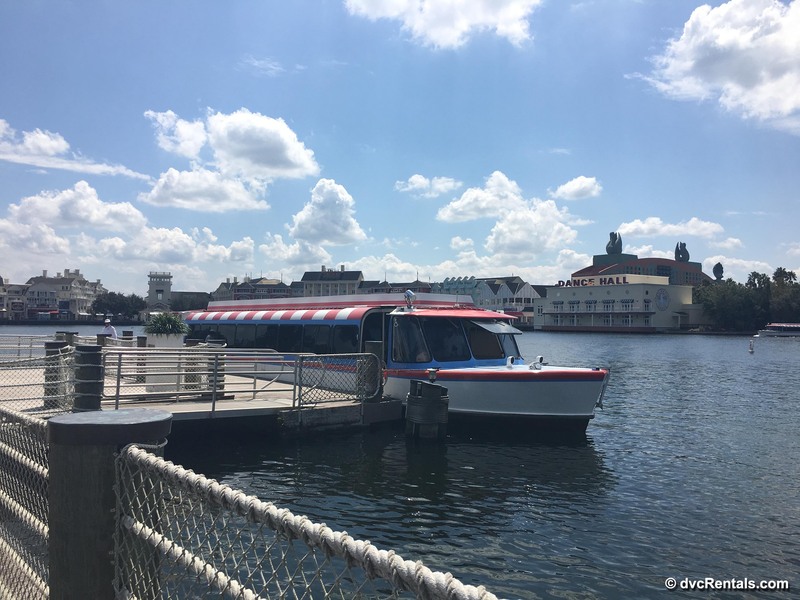 Boat launches are also available here, taking guests to and from the surrounding Epcot area resorts, as well as Epcot itself and Hollywood Studios. Bus transportation is available to take guests to the other parks and Disney Springs. After all of that fun, I’m sure you’re ready to call it a night! 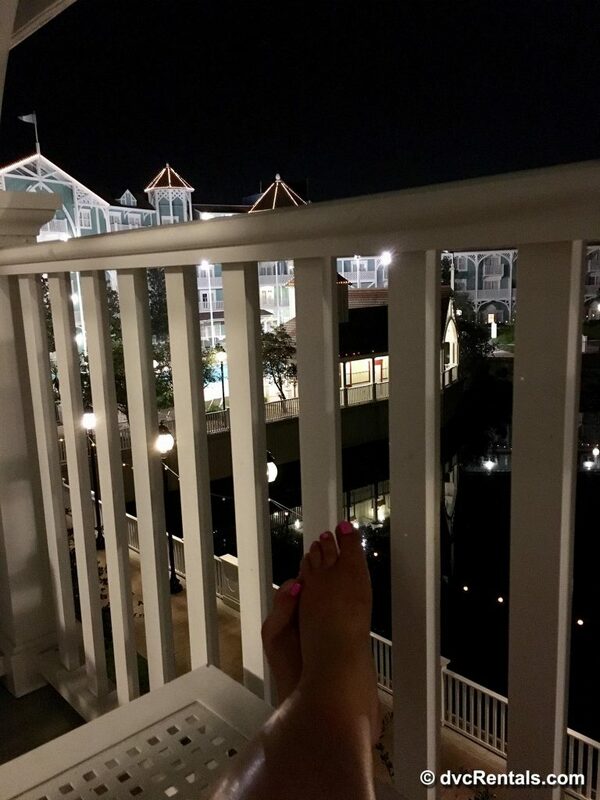 After a long day having fun in the parks, you’ll want a comfortable place to rest your head, and the Beach Club’s rooms do not disappoint! 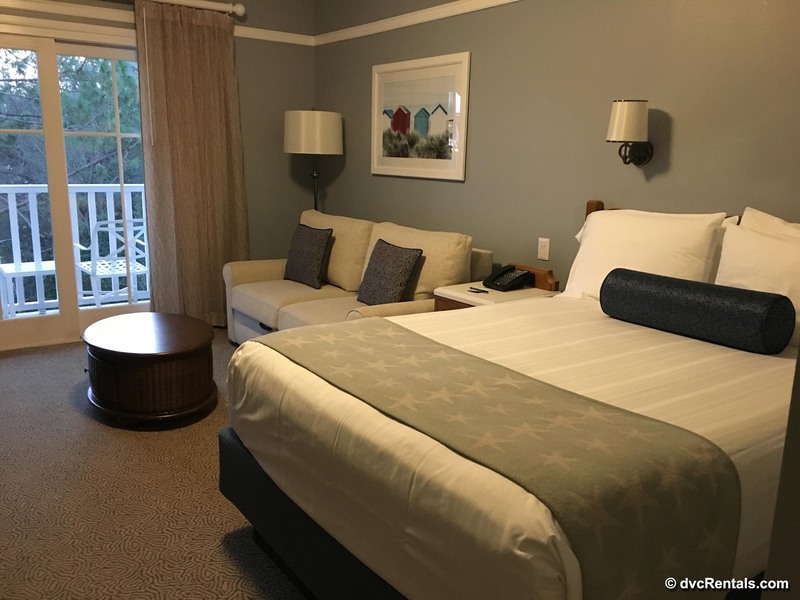 The resort’s theme of seaside elegance continues into the DVC villas where guests will find furniture and decor that carries the beachy, nautical feeling into their room (minus the sand)! 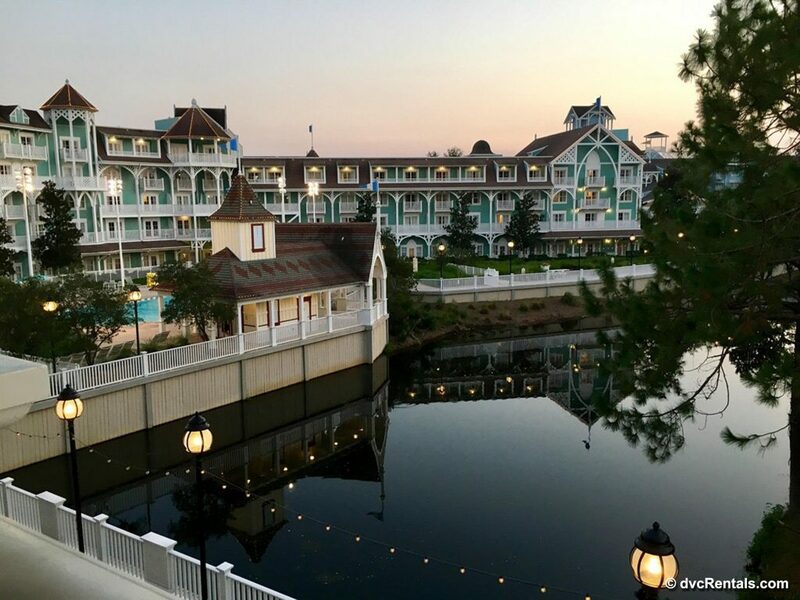 The DVC villas at the Beach Club will all have a private balcony (or porch) perfect for enjoying a morning coffee, or putting your tired feet up for some rest and relaxation (and perhaps with just one more ice cream soda from Beaches and Cream). 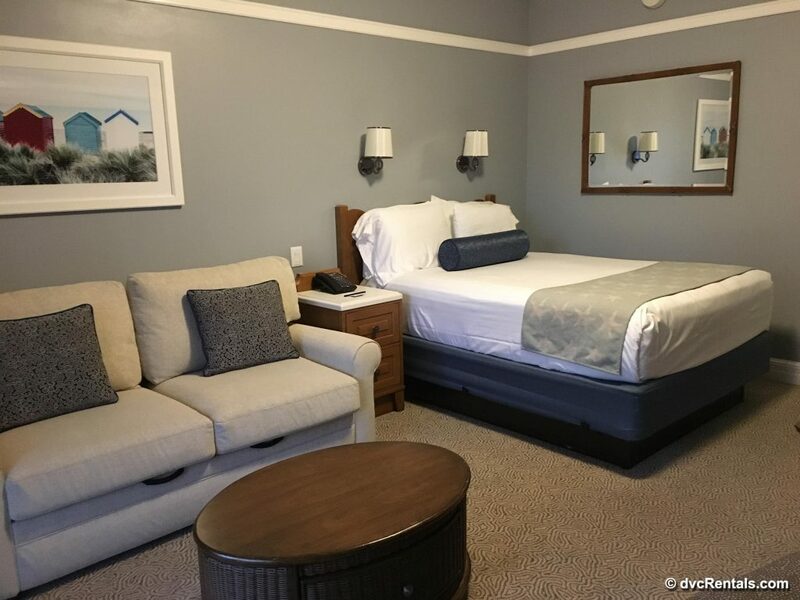 The bedding here is simple yet luxurious, and I must say that the bed in the studio I stayed in is the most comfortable bed I have slept in on property so far! 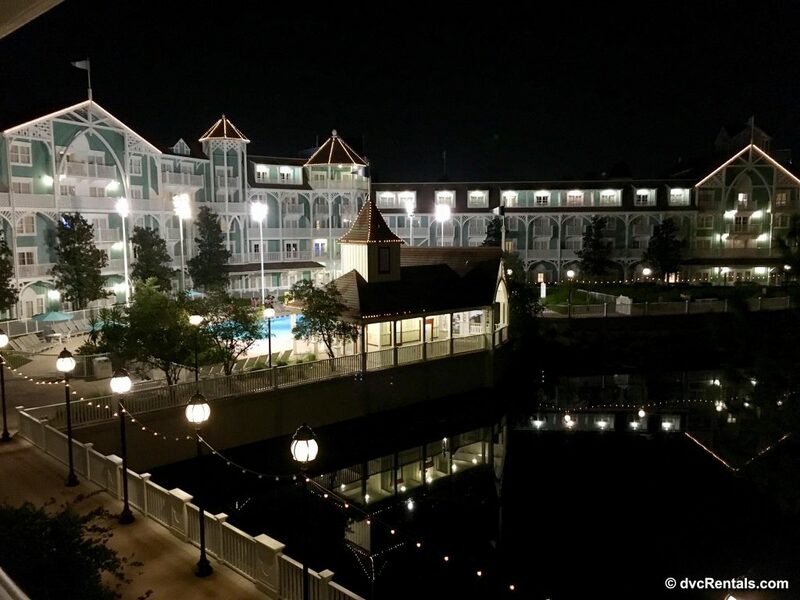 Perfect for sweet Disney dreams! 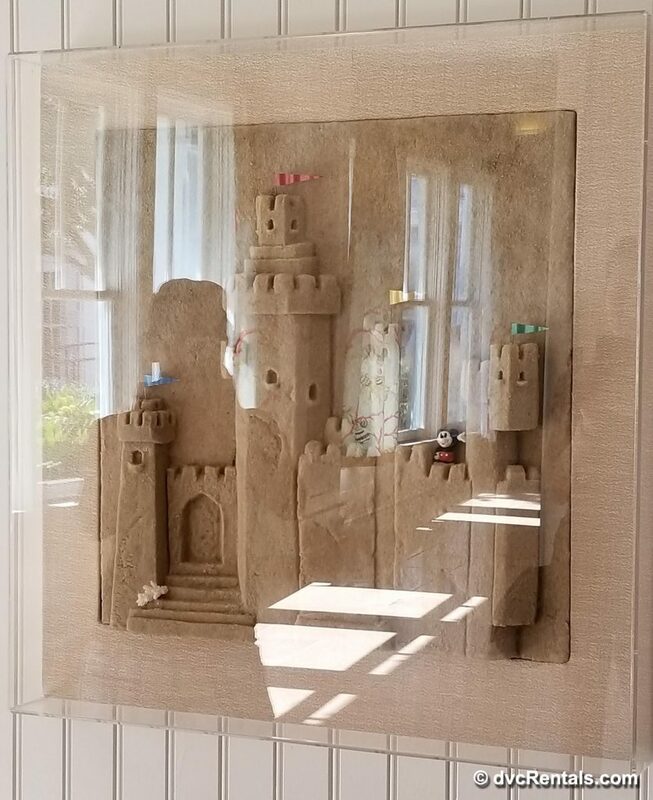 As you can see, there are many reasons to love Disney’s Beach Club Villas, and I hope you enjoyed exploring the resort with me! 17 thoughts on "Beachy Keen! All About Disney’s Beach Club Villas"
We are staying there two weeks from today! We are so excited!!!!!! We’re staying here in May thanks to you it’s securing us a reservation. We’ve been wanting to stay here for years, Can’t wait!! We get to stay here in October!!! 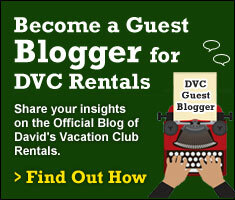 Looking forward to our first stay at BCV in just 30 days!